Around 300 people attended the Mission in an Era of Migrants and Refugees Conference held at Andrews University from September 13–16, 2017. The event at the Adventist-managed school in Berrien Springs, Michigan, United States, was sponsored by the Andrews University Seventh-day Adventist Theological Seminary Department of World Mission, the Lake Union Conference of Seventh-day Adventists, the North American Division (NAD) Evangelism Institute, and NAD Adventist Refugee and Immigrant Ministries. Speakers came from a variety of locations and backgrounds including a conference church region president, a church pastor, ministry leaders and various academic professionals. There were also 42 breakout sessions on a widely diverse group of topics. “We picked the topic of migrants and refugees because it is certainly in the news, it’s a missiological issue, political issue, economic issue…. 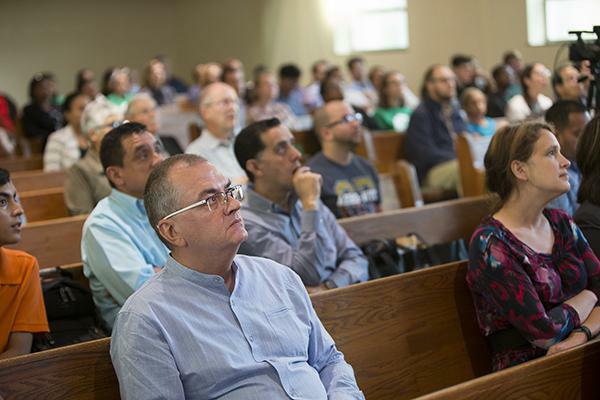 All of us function in a political environment, but our job as Christians is to respond to refugees and migrants who come to our shores in a Christ-like way,” said Gorden Doss, the primary conference organizer, and professor of world mission in the seminary’s Department of World Mission. The conference began on Wednesday evening with a plenary session presented by Sung Kwon, director of NAD Adventist Community Services since 2001, and Gabriela Phillips, coordinator for Adventist Muslims Relations in the North American Division. Following a touching personal story by Jimmy Shwe, a church planting consultant for the Karen community, Phillips poignantly addressed the need to recover and listen to refugee voices in the midst of their migration and confusion. She quoted how one refugee friend of hers asked, “At what point do we become ordinary people again?” This question echoes the widespread need for refugees to be heard and served in tangible ways that can foster normalcy, independence, and human dignity. Phillips also asked the church to “re-humanize those lost behind faceless socio-economic labels” by recognizing that we were created in the image of God and have the capability to be rational, loving, thoughtful, connected, spiritual beings with others. On Thursday morning, Will James, senior pastor of the Paradise Valley Church in San Diego, California, United States, illustrated this idea of tangible assistance with a compelling story of his church’s transformative experience of serving their local refugee population. They currently have a food distribution program, a locally accredited English language school, community gardens and a local thrift store and work training center for the refugees in their area. 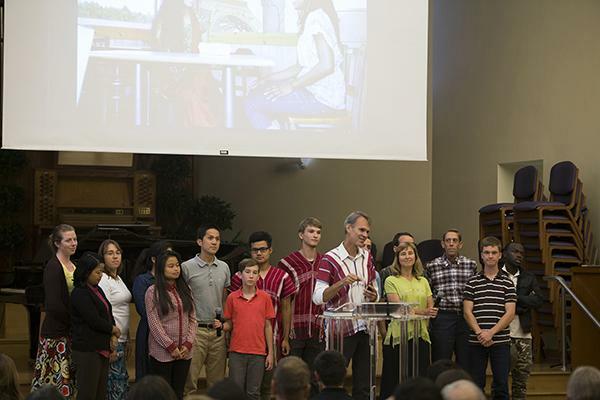 The 900-member church translates their Sabbath service into six languages. Attendees Shirley and Jerry Finneman of Tabernacle Church in Battle Creek, Michigan, United States, thanked James for inspiring them to start a refugee ministry in their community. They visited Paradise Valley Church years ago and were motivated to begin a refugee program in their area. Tabernacle now has an interdenominational ministry that partners with many local organizations to offer English language schools, evangelism through singing, local community gardens and other ministries to refugees. Two churches have been raised up from this ministry. That evening, Kristine van Noord, program manager for Bethany Christian Services’ Refugee Adult & Family Programs, and Cristian Dumitrescu, professor of world mission and intercultural studies and research at the Adventist International Institute of Advanced Studies in the Philippines, shared facts and statistics to correct misconceptions of refugees and raise further awareness. “The difference between a refugee family that will thrive and a family that will barely survive is whether or not there is a church or organization that will co-sponsor the family,” describes van Noord. Following this plenary session, Mariela Shaker, honored by President Barack Obama as a Champion of Change for World Refugees, shared her touching story as a Syrian refugee. She was at Aleppo University, receiving her diploma, when it was bombed, and 82 students were killed. She spent the next six months running from bombs and mortar shells to find internet access and electricity to submit applications to graduate schools in the United States. Thankfully, a Muslim man in Saudi Arabia finally sponsored her to attend Monmouth College in Illinois. “I live in constant fear for my family and friends that are still struggling to survive in Aleppo without the basic necessities of life. Every day, I wonder if they will be alive tomorrow. And I wonder if I will be reunited with them one day,” Shaker said. 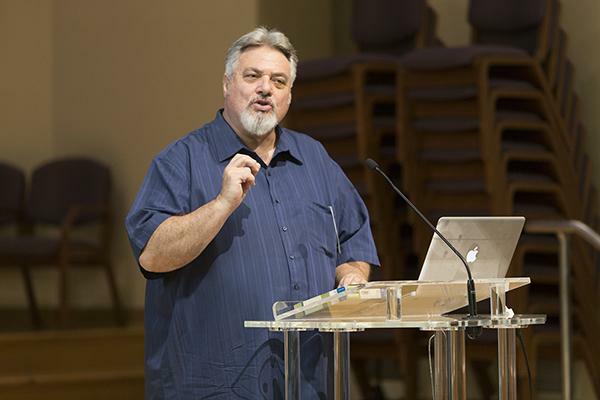 Daniel Carroll, Blanchard Chair in Old Testament at Wheaton College Graduate School in Illinois, United States, served as the primary plenary speaker for Friday’s sessions. He focused on the necessity of seeing the refugee or immigrant issue from a biblical perspective instead of merely a political, economic or legal one. “Begin not with an immigrant’s legal status, but with their humanity,” said Carroll. On Sabbath, Iowa-Missouri Conference church region president Dean Coridan clarified the difference between migrants and refugees. “It’s a mistake to lump together migrants and refugees. Immigrants have a desire to come to this country. Refugees are here because they can’t live where they want to be because of persecution or civil wars,” explained Coridan. He emphasized that whether someone is an immigrant or refugee should not affect how we treat them. Both groups need the church to rise and recognize our calling to serve them as brothers and sisters in Christ. 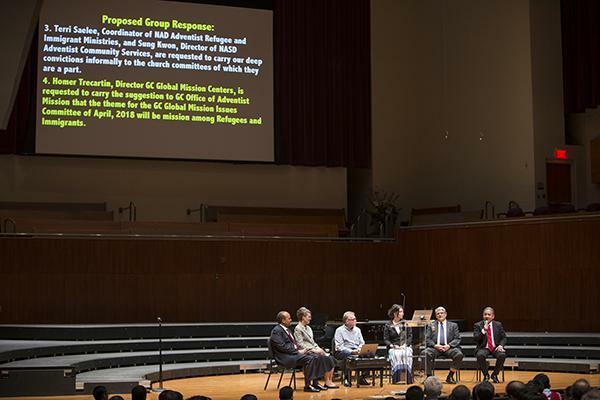 GC Global Mission Centers director Homer Trecartin was the closing plenary speaker for the conference, followed by a panel discussion held at the Howard Performing Arts Center. Doss wrapped up the entire point of the conference. “If migrants or refugees live next door to me, it becomes incumbent upon me to respond as a Christian to them and say, how would Christ respond to them and how does the Bible guide me to respond to them? All the speakers have answered those questions from every different angle,” she said.